Promotional value expires 120 days after purchase. Amount paid never expires. Appointment required. Consultation required; non-candidates and other refund requests will be honored before service provided. Limit 1 per person, may buy 1 additional as gift(s). Limit 1 per visit. All goods or services must be used by the same person. Merchant’s standard cancellation policy applies (any fees not to exceed voucher price). Merchant is solely responsible to purchasers for the care and quality of the advertised goods and services. The power to thwart chronic pain lies in the hands of your acupressurist at Bobs Traditional Body Rehabilitation Centre, with the goal of restoring health and balance by removing the blockages that keep clients’ energy stuck. This ancient Chinese practice—basically, acupuncture without the needles—relies on the stimulation of key pressure points along the body’s chi highways that serve as pathways for energy to flow between vital organ systems. Bobs Traditional Body Rehabilitation Centre practitioners use either their hands or blunt instruments to apply pressure to these points in order to create a release of the body’s tension. This simple technique can improve skin texture and restore a youthful appearance. It has also been used to assuage a range of symptoms including: depression, flu, stress, thyroid problems, chronic pain, fatigue, nausea and vomiting during pregnancy or after chemotherapy, chronic headaches, menstrual cramps, sexual dysfunction, and more. 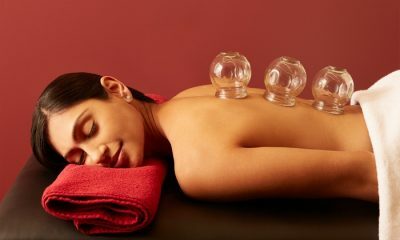 Their services also include Tuina massage, Chinese herbal medicine, acupressure, and massage modalities.